Are you looking for a restaurant that is the perfect set up to sell the most popular food in Southern California? Stop looking, this is your place. This is a bargain at less than half the cost of building it out yourself. Located on one of the busiest pedestrian intersections in the city, traffic just naturally flows to this location. 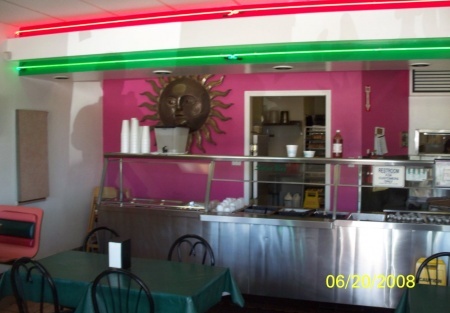 This popular Mexican food restaurant has approximately 920 square feet inside and 200 square feet outside. Rent is only $1,511/month plus NNN. Low rent factor and small footprint leave lots of room for a great bottom line performance. Owner has this place set up just right, has large food prep area, double hood, fryer, grill, three refrigerated food storage areas and plenty of dry storage, your cooks will love it. If you are ready to expand your current business or start your own Mexican food restaurant, now is the time. Take the next step in fulfilling your dreams of restaurant ownership or expansion. Click on one of the orange buttons below for further details and pictures. Name and recipes of this location are not included in the sales price. This is a Stone Path Brokerage Services, Inc. DBA Selling Restaurants San Diego listing.